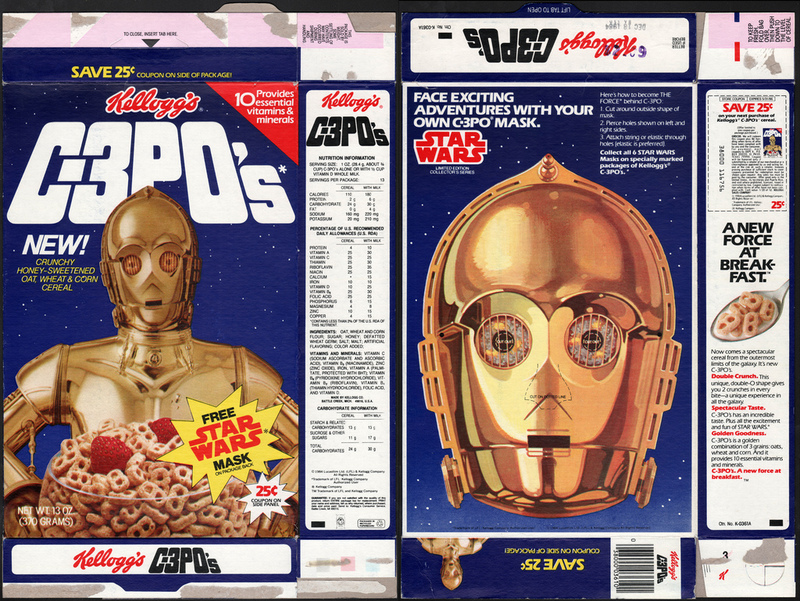 How To Look Like C-3PO. Or Mark Hamill. 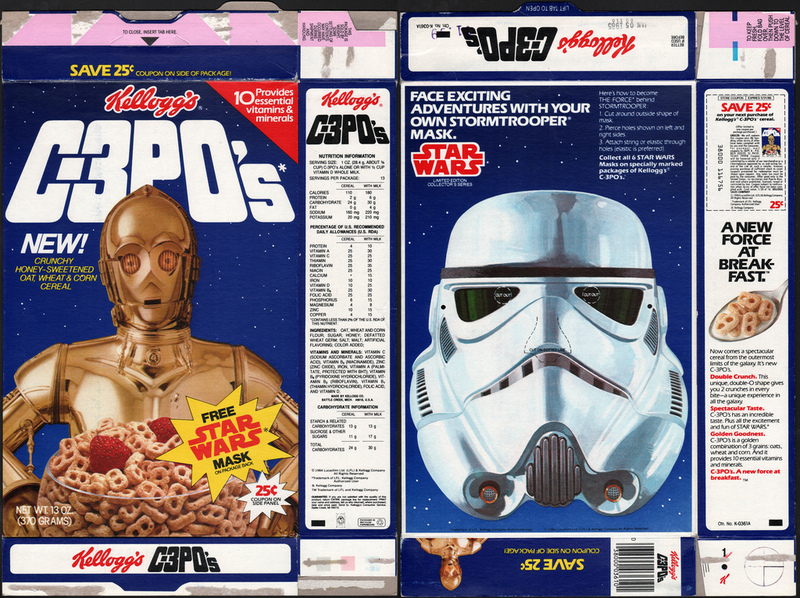 Or A Stormtrooper. 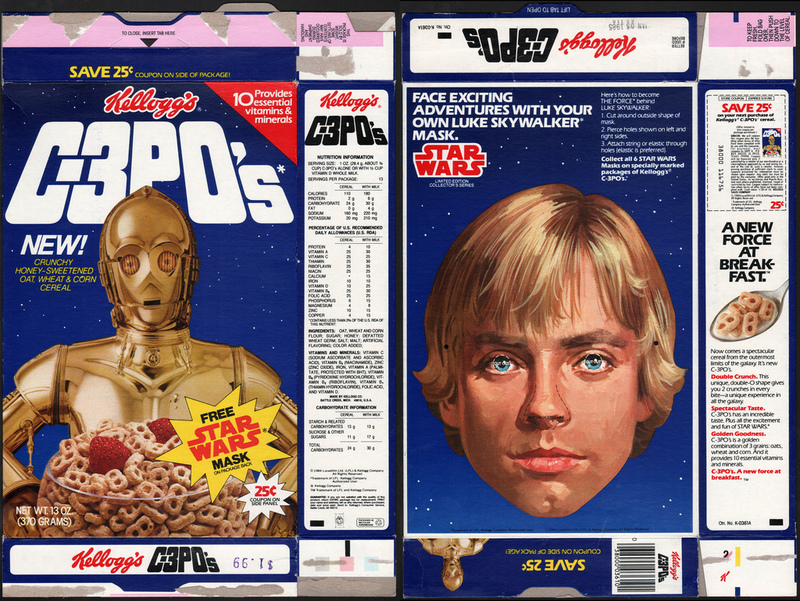 Collector Jason Liebig has uploaded six of the greatest Flickr images you're likely to ever see: cereal box scans that include giant masks for some of the main characters from Star Wars. 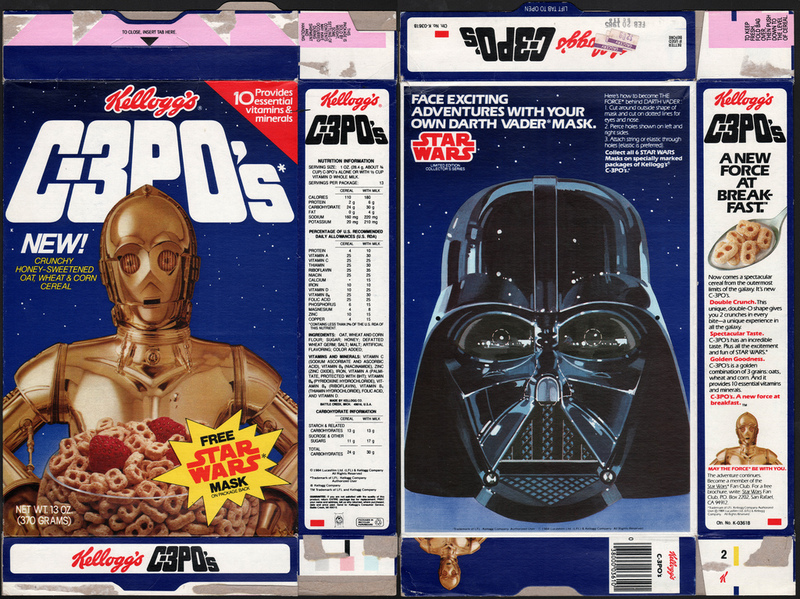 From a Canadian cereal cash-in (the cereal itself branded C-3POs) dating all the way back to 1984, there were six in all, for Luke Skywalker, Darth Vader, Yoda, Chewie, C-3PO and a Stormtrooper. Jason's Flickr stream, linked below, has the full-size versions available, should you want to do the right thing and print them off. Given the subject of the article, this comment made me laugh much harder than it should have. Hahahaha, I know right, I bet that 'name' has been waiting for an opportunity as unmissable as this to actually make sense of the criticism. I hate you "name", if that is your real name, which I seriously doubt! You write even less than Luke. I want constructive criticism! 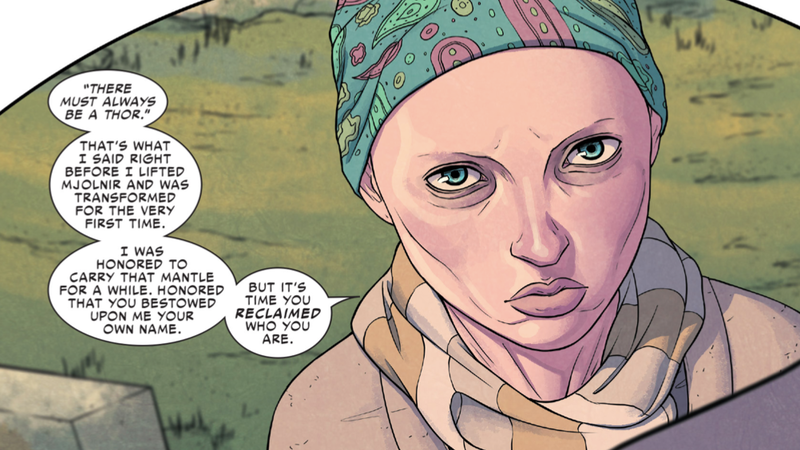 Myself, I don't mind a short article here and there, as long as I'm being fed a constant supply of star wars masks and other shiny objects to distract myself. 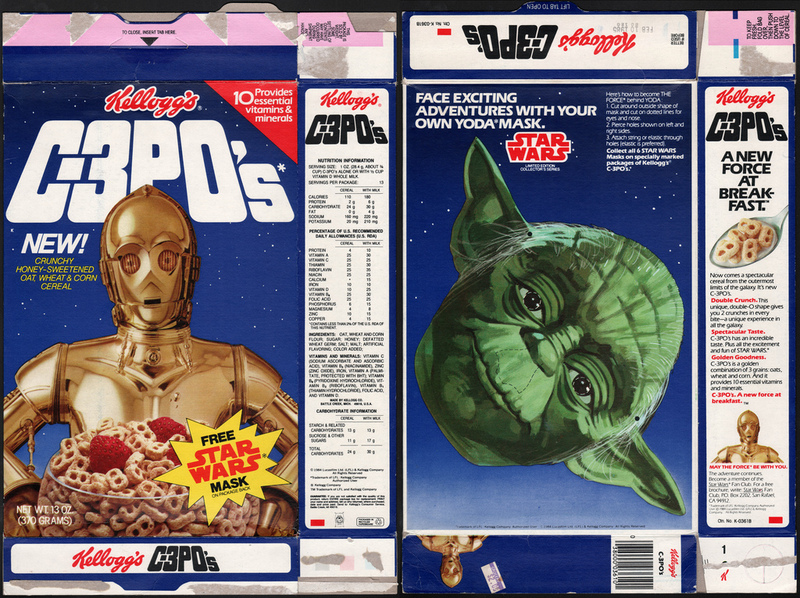 I miss the cereal boxes that had things to do on them, it was always so exciting when you neared the end of a box of weet-bix, knowing that soon you'd be able to build whatever was on the back. Yes! I didn't even realise I felt the same way until I read your insightful comment. 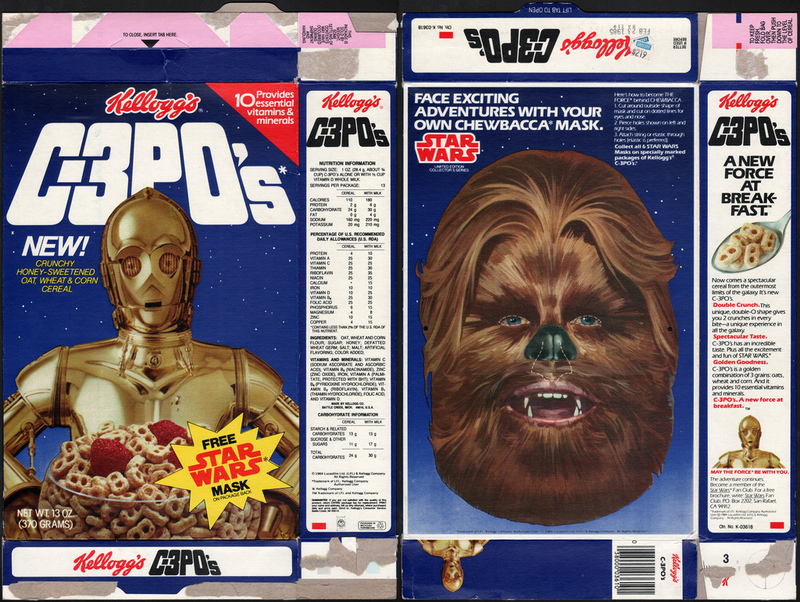 I've finallly worked out what the gaping whole in my life is all about: damn you boring cereal boxes, damn you! Does anyone else feel that Luke Plunkett reads all the criticism posted on Brian Ashcraft's articles, and deliberately goes out to try and write WORSE articles?